The GainSpan GS1010 Software Development Kit (SDK) supports rapid development of hardware and application software for Wi-Fi sensors based on GainSpan's GS1010 ultra-low-power wireless system-ona-chip (SoC). Generally speaking, vision systems are different from cameras and/or imagers. 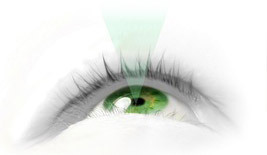 Although vision devices can operate as cameras, their functionality goes quite further. The function of a camera is acquiring (sensing) images. A vision device not only acquires but also processes the image flow in space and time to extract the information contained in such a flow. A rough description of a Vision System on-Chip is as follows: "A system whose input is a two-dimensional set of analog signals representing a visual flow, which internally converts these signals to the digital domain, and which processes these digital data afterwards". In a conventional vision system, conversion to the digital domain occurs right after the sensors. Hence, all processing is realized in the digital domain. AnaFocus employs a different strategy. This version 1.0 will include an optimized topographical focal-plane ACE-like processor with spatial resolution in the QCIF range. 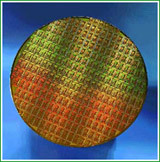 This processor is currently being designed as an improved version of the ACE16k. In this version, digital post-processing will be performed using off-chip components mounted on a small PCB processing module. geometric transformations (rotation, scaling, ...). The following step in the AnaFocus roadmap is the design of Eye-RIS_v2.0. This version will incorporate on-chip all the structures needed for digital post-processing. Standard PC-compatible communication and control ports. A sensor-less ACE-like early-processor with medium resolution for high-speed windowed or tiled applications. Standard PC-compatible communication and control peripherals. Subsequent steps in the AnaFocus roadmap include the development of customized, application-specific versions of the Eye-RIS vision systems and their associated hardware-software OEM development kits. Three different platforms are expected to become available during 2006. These platforms will be oriented to active-security automotive systems, intelligent security cameras and low-cost consumer applications. Analog-to-Digital Converters 16-bit to 24-bit sigma-delta data converters for precision measurements, high-quality audio and speech applications and broadband xDSL, 10-bit to 12-bit	high-speed pipeline for video, imaging and communications and 15-bit low power successive incremental converter for sensor applications. 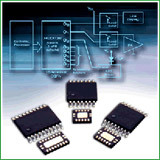 Analog Front-ends and Codecs 16-bit to 24-bit sigma-delta analog front-ends and CODECS for precision measurements, high-quality audio and speech applications, 10-bit to 12-bit high-speed pipelined analog front-end for video, imaging and communications. AZM extensive experience in RF & MMIC ASIC design, manufacture and test covers a wide range of applications. Below are examples of previous designs. Please contact us for information regarding your specific requirements.